Don’t blow out your renovation project costs. 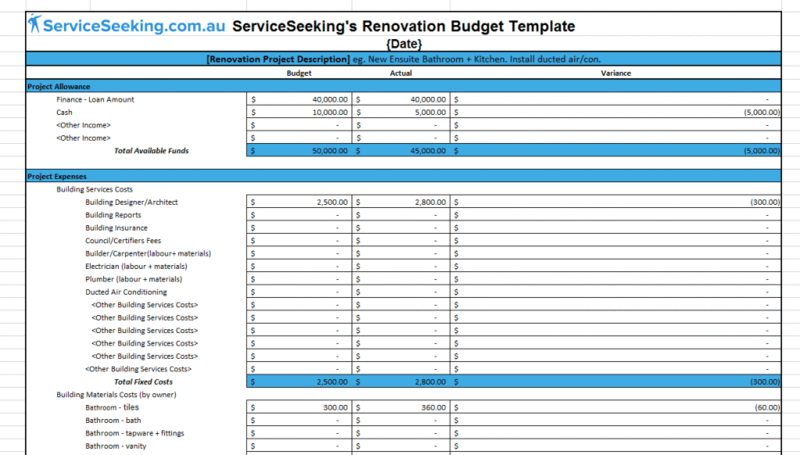 Download ServiceSeeking’s comprehensive renovation budget template and planner in Google Docs (this version will be a read-only copy – sign into a Google/Gmail account, then click File => Make a copy) or Microsoft Excel format. 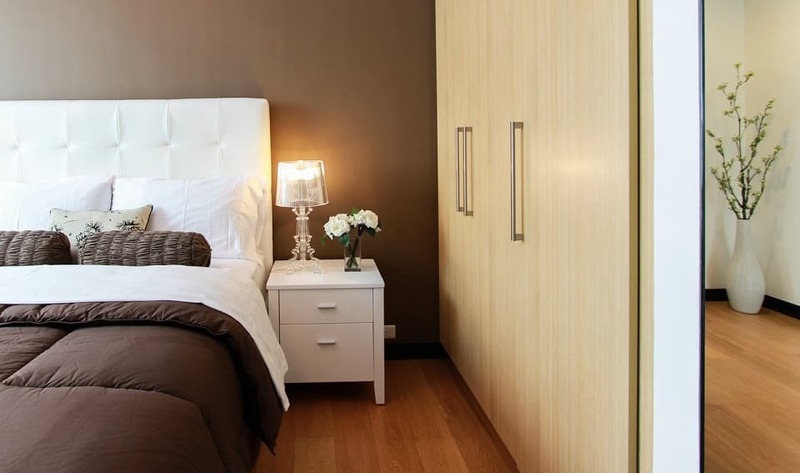 Deciding to renovate your home is an exciting time- you’re one step closer to your dream house and garden! But there are so many components to consider- getting building permits, speaking to engineers and architects, hiring plumbers and mechanics… not to mention the additional costs of materials, and making sure they’re perfect for your new home! It can all seem a bit daunting, especially with the added stress of devising a budget and sticking to it. The ServiceSeeking.com.au Renovation Budget Template will help you manage your timeline, progress, and expenses, and will make sure you create your perfect home without breaking the bank. Why do I need a renovation budget template? 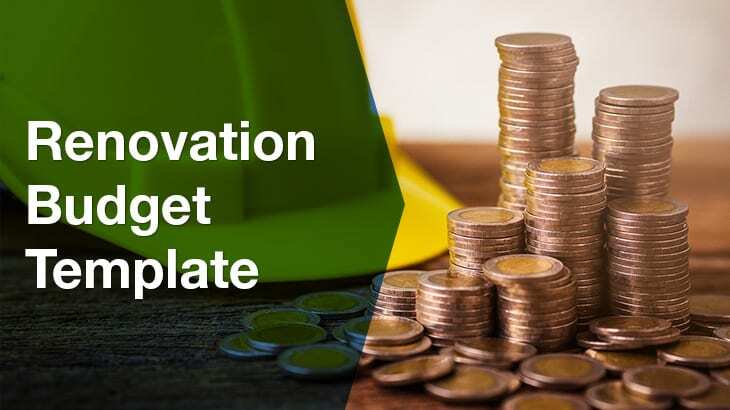 The Renovation Budget Template is an easy tool to help you budget for your renovation. You can see exactly how much you’ve budgeted, and compare it to how much you’ve spent, to make sure you’re always on track with your spending. You can easily see the components that make up your renovation (for example, your bathroom or kitchen), and come up with an accurate budget to fit your needs. By keeping track of the specific costs of labour and materials, you’ll be much less likely to over spend. Simply download our spreadsheet below. You input your budget for specific jobs in one column (to get an idea of prices, visit our pricing guides here), and the actual cost in the next. Our spreadsheet will automatically work out the difference between the budget cost and the actual cost, to let you know if you’re above or below budget.